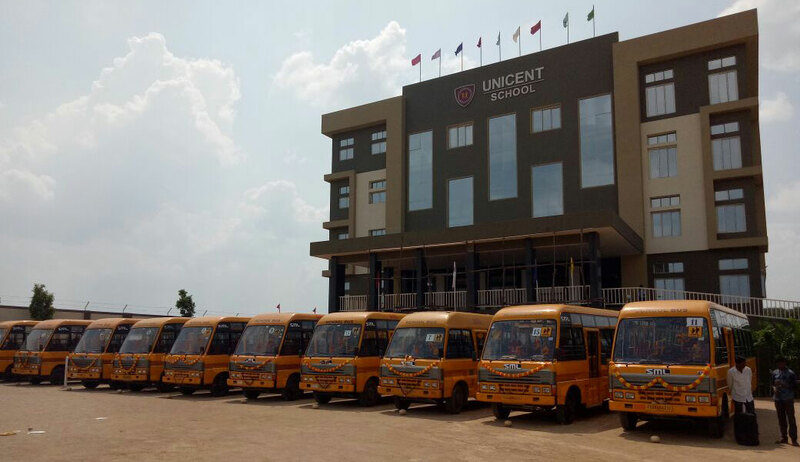 Unicent School buses are all new and well maintained. The bus service covers an or 15 KM around the school area ranging from Kondapur, BHEL, Chandanagar, Kukatpally, Hafeezpet, Bachupally, etc. Our drivers and cleaners receive their annual safe driver refresher training from Indian Federation of Road Safety (WWW.IFROS.ORG).